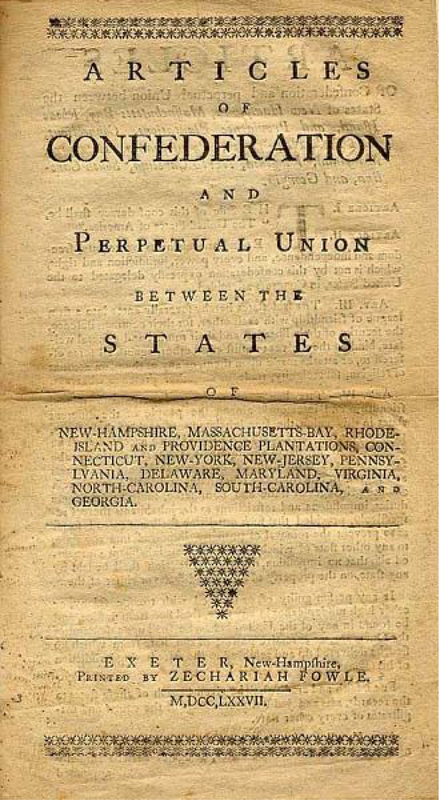 Republicans seem to have confused the U.S. Constitution with the Articles of Confederation that preceded it. Republicans in Congress persist in interfering with the President's prerogative to conduct foreign policy, support states' rights over the central government, and attempt to reduce the federal government's ability to collect taxes sufficient to complete its responsibilities as enumerated in the Constitution. These were among the weaknesses of the Articles of Confederation of 1777 that the Founding Fathers set out to correct at the Constitutional Convention of 1787. 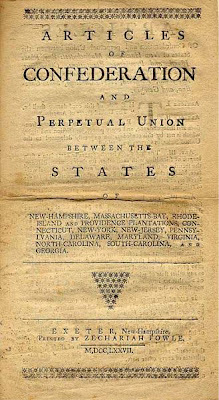 The inability to conduct a unified foreign policy, maintain national security, adjudicate differences between the various states, and properly fund activities required of the central government were widely recognized as weaknesses of the Articles of Confederation requiring urgent remediation after a single decade. Even as conservative's claim they want this nation to return to the values of the Founding Fathers and strict interpretation of the U.S. Constitution, in their ignorance they are actually calling for the country to return to a system, as embodied in the Articles of Confederation, that demonstrably failed. The Founding Fathers observed its failures and recognized the urgent necessity of a stronger central government and presidency and greater ability for the federal government to collect taxes sufficient to meet its responsibilities. Hence the Constitutional Convention. Panderbear is perpetually bemused by the ignorance of history, Founding Fathers' intent, and U.S. Constitution of those who refer to these icons ad nauseum to support their anachronistic political views. They have constructed a grossly inaccurate mythology of constitution and Founding Fathers and now worship them to the detriment of our nation. Need examples: GOP stated desires, preferably with two or more referenced quotes by acknowledged leaders, as well as how those are more supported by the prior failed system rather than the new one. I believe you are right, but without cited and sourced references, it is an opinion battle. The ultra right IS MOST DEFINITELY in favor of returning to a system that did not work then and cannot work now. They are talking about returning to an era of strong STATES RIGHTS—CRIPPLING THE FEDERAL GOVERNMENT BY REDUCING ITS ABILITY TO COLLECT TAXES—SEVERELY LIMITING ITS ABILITY TO REGULATE FACTIONS. All of the conditions that led up to the founding fathers rewriting and passing the current Constitution thus forming a "more perfect union".